When the Court issues a protective order (also referred to interchangeably as restraining orders or stay away orders) and that order is violated, the violation itself is a criminal offense. Under California Penal Code Section 273.6 PC, it is against the law to violate a lawfully issued court restraining order, protective order or stay away order. This offense is often charged in connection with domestic violence cases. That a court lawfully issued a written protective/stay away order stating that the defendant must stay away from a particular person or refrain from a certain act. These protective orders can be ordered on an emergency basis and can be a temporary or permanent restraining order. At his arraignment for domestic battery in violation of California Penal Code 243(e)(1) PC a man is ordered by the judge to stay away from his wife, and a copy of the written order is presented to the man. The man moves into a hotel, however a couple of weeks later his wife contacts the man and tells him that she is no longer angry and she wants him to move back in with her. The man moves back in the house. This man could be prosecuted for violating the protective order even though he had never been convicted of the underlying offense and even though he was invited back to the home. While the act of moving back home would violate the protective order, the man did not violate the order when he received the call from his wife, as answering the phone was not a willful violation. In another example, a woman files for a civil harassment restraining order against her neighbor. She is given a court date in the future and is granted a temporary restraining order ("TRO") that is valid until that court date. However, she did not properly serve the neighbor and he had no knowledge of the existence of the TRO. This man could not be prosecuted under California Penal Code Section 273.6 PC because he did not know about the restraining order. Obviously, this criminal offense requires that the violation of the order be willful, therefore if someone accidentally runs into the person they are prohibited from contacting, that person would not be criminally liable. However, courts and prosecutors can be very suspicious about “accidental” encounters, especially when they occur in domestic violence cases. In addition, this is an offense that may be susceptible to false accusations, especially where there is a soured domestic relationship and the protected party has reason to want to cause trouble for the other party. Violating a protective or restraining order under Penal Code Section 273.6 is usually a misdemeanor that is punishable by up to a year in jail, mandatory counseling/domestic abuse classes, and a substantial fine. If the defendant has a prior conviction for violating a protective order that is less than seven years old and if the violation involved violence or a threat of violence, this offense is a "wobbler" which can be filed as either a felony or a misdemeanor. If filed as a felony, the defendant can be sentenced to up to three years in prison. If the violation is a second within one year and if the victim suffers an injury, this is a wobbler offense that can be punishable by up to three years in prison. Violating a protective order is a criminal offense that may have a completely innocent explanation. 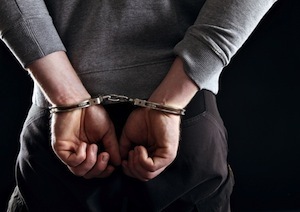 As a result, it is very important to speak with an experienced Los Angeles Criminal Defense Attorney immediately if you or someone you know have been accused of or charged with this offense. Los Angeles Criminal Defense Attorney Michael Kraut is a former Deputy District Attorney with over 14 years of prosecutorial experience and is highly respected throughout the court system for his legal acumen and litigation skills. For more information about violating a protective/restraining order, and to schedule your free consultation, contact Los Angeles Criminal Defense Attorney Michael Kraut at the Kraut Law Group located at 6255 Sunset Boulevard, Suite 1480, Los Angeles, CA 90028. Mr. Kraut can be reached 24/7 at 888-334-6344 or 323-464-6453.